Today’s main news: Law firm files class action against Lending Club. KBRA assigns preliminary ratings to Marlette Funding Trust 2018-2. Funding Circle’s securitization priced at tighter spread than expected. Klarna intros new consumer app. Today’s main analysis: Square’s Q1 2018 results. Today’s thought-provoking articles: More light shed on Lending Club’s hidden fees. Fintech funding at $127B. Financial inclusion in the rich world. FTC sheds more light on Lending Club. Goldman CEO pledges caution on consumer lending. Trusted Key Solutions raises $3 million. Private lenders look to grad student loan market. Promise Financial quits offering personal loans for weddings. New bank starts in Massachusetts. Incentives at banks are misaligned. Big tech firms have a plan, but credit unions don’t. Online Lending Policy Institute, Benzinga partner on awards gala. European Investment Fund, KfW back Funding Circle securitization. NatWest outlines plan for Esme. Infabode securess 750K GBP through Seedrs. Revenues are up on numis. Savers don’t understand IFISA benefits. Fintech funding at $127 billion. Ripio Credit Network to offer lenders smart contracts. HOLD Platform takes on SALT Lending. Profile Software ports core banking platform in the cloud. Sweden: Klarna introduces new consumer app. Germany: Giles Andrews joins Kreditech board as chairman. Australia: Commonwealth Bank lose 12 million customers’ data. Australia: Bamboo offers crypto microinvesting. India: OYE! Loans secures $2.25 million. India: P2P lending offers bigger gains. Block & Leviton LLP (www.blockesq.com), a securities litigation firm representing investors nationwide, announces that a new class action lawsuit has been filed against Lending Club Corp. (“Lending Club” or the “Company”) (NYSE: LC) and certain of its officers and directors alleging violations of the federal and securities laws. Class members interested in serving as lead plaintiff are reminded of the July 2, 2018 lead plaintiff deadline. The lawsuit, filed in the United States District Court for the Northern District of California (No. 3:18-cv-02599), alleges that throughout the Class Period, defendants made false and/or misleading statements when they stated that Lending Club customers would receive a loan with “no hidden fees.” On April 25, 2018, the Federal Trade Commission (“FTC”) filed a complaint alleging that Lending Club knowingly charged consumers hidden fees, contrary to their public disclosures. Kroll Bond Rating Agency (KBRA) assigns preliminary ratings to three classes of notes issued by Marlette Funding Trust 2018-2 (MFT 2018-2). This is a $310.1 million consumer loan ABS transaction. Square, Inc. (NYSE: SQ) has posted its financial results for the first quarter of 2018 on the Financial Information section of its Investor Relations website at square.com/investors. We continue to accelerate growth at scale, expanding our ecosystem for sellers and individuals. In the first quarter of 2018, total net revenue was $669 million, up 45% year over year, and Adjusted Revenue was $307 million, up 51% year over year. This is an increase from the fourth quarter of 2017, when total net revenue and Adjusted Revenue grew 36% and 47%, respectively, year over year. Gross Payment Volume (GPV) was $17.8 billion, up 31% year over year. Net loss in the first quarter was $24 million, which is an increase of $9 million from a net loss of $15 million in the first quarter of 2017. Adjusted EBITDA was $36 million in the first quarter of 2018, compared to $27 million in the first quarter of 2017. We achieved an Adjusted EBITDA margin of 12%, which reflects our reinvestment in the business to drive long-term growth. Read the full shareholder letter here. Goldman’s Marcus has scaled extraordinarily fast having provided $2.4 billion in consumer loans; some analysts have expressed concerns on the credit quality of the loans Marcus has been making; Blankfein on Wednesday noted that a poor credit environment could bring new risks but he isn’t concerned with their timing into the market; the bank has a long-term view on their consumer focused business and believes they can manage it through the ups and downs. Trusted Key Solutions Inc., a Seattle, WA-based blockchain-based secure digital identity company, raised $3m as part of a seed funding round. The round was led by Founders Co-Op, with participation from Pithia, Inc., the venture capital company of The RChain Cooperative. Private lenders hold just a fraction of the outstanding student loan debt in the U.S. — about 7.7 percent as of last year. But those companies have plans to grow their student loan holdings. The PROSPER Act, House Republicans’ opening bid to update the Higher Education Act, would raise undergraduate lending limits and add new annual limits for graduate student borrowing. Those students would have their total annual borrowing capped at $28,500 annually. Currently, graduate students can borrow up to the cost of attendance. Graduate loans also offer a higher loan volume for private lenders. As Quinlan noted to investors, grad students make up 16 percent of the borrower market but hold 40 percent of student loan debt. So the average borrower holds more debt, they’re older, and they’re better educated, too, making it more likely that they will pay off their loan. The recent end of Promise Financial personal loans leaves brides- and grooms-to-be with one less borrowing option. The company, which focused solely on financing weddings through unsecured personal loans, stopped funding new loans in January 2017, reported Bloomberg. A group in Springfield, Mass., has applied to form a new bank. The group hopes to raise $25 million to $30 million in initial capital. If it opens, Green Apple would become the first new bank in Massachusetts since 2008, according to the state’s Office of Consumer Affairs and Business Regulation. The application notes that Green Apple, which aims to open by the end of this year, would focus on small-business banking, commercial real estate lending, personal banking, renewable energy, local agriculture businesses and the food security sector. Banks like to call themselves technology companies. And most large ones are currently focused on fighting — and winning — the war for talent against Silicon Valley. The problem is, they have issues when it comes to incentivizing their many tech employees to create great products. Credit unions aren’t paving the way. Nor are they pioneering the ability to serve the underbanked. Seriously. Many are doing great things, that’s for sure, yet the fundamental change is originating from tech firms. And they’re not doing it alone (more on that later). Although CreditCards.com lists the national average APR on a credit card at 16.38% as of January 2018, the rates on three-year unsecured loans are only 9.22% for credit unions and 10.09% for banks as of March 2018, according to the National Credit Union Association. An online lender might provide an even lower personal loan APR, with FreedomPlus offering rates starting at 4.99% and SoFi at 5.37%. The Online Lending Policy Institute (OLPI) today announced that it will partner with Detroit-based financial media outlet Benzinga for the Benzinga Global Fintech Awards Gala (BZ Awards) in NYC on May 15, 2018. FUNDING Circle’s latest securitisation has been priced at a tighter spread than its first with backers including the European Investment Fund (EIF) and German development bank KfW. The £207m portfolio is issued by investment trust P2P Global Investments and has been priced at 75 basis points, compared with 220 basis points on the tranches issued in 2016. NatWest has outlined plans to scale and grow its digital lending platform Esme Loans following a successful pilot phase. Esme Loans was developed by the bank at its innovation unit with fintech firm Ezbob as a direct response to the emergence of specialist direct and P2P lending platforms. The council identifies only 36% of the population as “white British”. Dalston Junction, a now-trendy part of the borough, buzzes with a down-at-heel sort of cosmopolitanism: a Caribbean bakery; the Halal Dixy Chicken shop; the Afro World wig-and-extensions parlour; dozens of outlets for Lycamobile (“call the world for less”) and for money-transfer firms. Competing with this last group is a branch of Oakam, a British lender set up in 2006. It advertises itself as an “alternative to doorstep lenders”, the traditional financiers for those beneath the bar set by mainstream banks. Originally aimed at recent immigrants, it extended its reach to the rest of those “lacking access to basic financial services”—a group it puts at 12m across Britain. A report published in March 2017 by a House of Lords committee estimated that 1.7m adult British residents have no bank account; 40% of the working-age population have less than £100 ($140) in cash savings; and 31% show signs of financial distress. Revenues jumped 41 per cent in the six months ending in March to £74.1m compared with £52.4m over the same period of the prior year. Pre-tax profits rose 86 per cent to £19.5m. Corporate broking and advisory revenues were up 76 per cent year on year to £50.9m, boosted in part by a growth in fees from M&A advisory work, a growing sector for some City brokers. 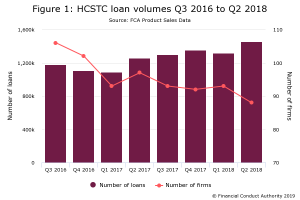 However this compared with a weak comparative period, and fell 10 per cent below a record performance in the second half of last year. Over a third (36%) of UK savers would place their money in an IFISA if they had the money available. While a large proportion acknowledge the prospect of higher returns (61%) alongside the allure of the tax-free wrapper and greater diversification, the IFISA is still a hard sell, according to research undertaken by P2P lending service ArchOver. In truth, the majority of UK savers (57%) still don’t fully understand the service. The $2,5 billion e-invoicing company is today launching its first pure consumer app, which gives users an overview of their Klarna transactions in addition to a host of other features. It’s essentially a remake of Klarna’s existing app and serves as a meeting place between merchants and their end customers. The app is first rolled out across the Nordics and continental Europe, with UK and US launches planned for later this year. ZOPA co-founder Giles Andrews OBE has been named as chairman of German alternative consumer lender Kreditech’s advisory board. The fintech firm provides loans and credit cards for the under-banked and those with poor or little credit history and operates in Mexico, Spain, Czech Republic, Poland and Russia. More than $127bn has been invested in fintech companies globally since 2014, with funding topping $40bn last year, according to data gathered by Fintech Global. Last year this number declined to just over 1800 but with an increased in the average deal size to $22.4m in 2017. Ripio Credit Network (RCN) — a global credit network based on cosigned smart contracts — has released an entirely new version of its NanoLoanEngine, the driving mechanism behind its protocol. The upgrade, which is called Basalt, includes significant improvements that will offer lenders and borrowers more flexibility. The company also claims that the new engine lowers costs. Basalt changes how interest is applied to the network’s loans and eliminates nearly all maintenance fees associated with those transactions. What HOLD (HOLD) allows you to do is simple, if you don’t want to sell your crypto or you want to “HODL” but at the same time you need cash, then HOLD is the platform for you. By creating an escrow that will lock up your funds as a collateral, HOLD will then send you a credit card of that amount in fiat, which means that you can have liquidity without selling your crypto assets. What you might be thinking is that SALT already provides these types of services but the major advantage of HOLD platform is the almost instant credit card that will be issued for you to use in any store making adoption of crypto as payment a closer reality. This is a very important middle step towards businesses accepting crypto as payment. Profile Software, an international, award-winning banking solutions provider, announced today that FMS.next, its leading Core Digital Banking platform, is now available in the cloud. BuzzFeed reports that the Commonwealth Bank lost 12 million customers’ data after magnetic tape backups containing their personal financial history from 2004 to 2014 went missing. It just lost them. They may have literally fallen off a truck. And the bank didn’t even bother telling its customers about the incident. While said losing-of-data was only publicly revealed this week, it took place back in 2016, when the Commonwealth Bank hired a subcontractor to destroy the backup tapes while decommissioning a data center. After it didn’t get a receipt of the tapes’ destruction, the bank investigated and discovered that the tapes were nowhere to be found. Enter Bamboo, a West Australian startup whose mission is to make a cryptocurrency investment platform for the rest of us. Bamboo brings together two new ideas. One complicated (cryptocurrency) and one a bit more simple (microinvesting). As platform Raiz (previously Acorns Australia) describes on their site, microinvesting works by transferring “spare change automatically from everyday purchases into a diversified portfolio”. For example, if you were to buy a coffee for $4.80, Raiz would round the sale up to $5.00 and then invest the $0.20 for you. Noida-based OYE Fintech, which operates a consumer-focused lending platform called OYE! Loans, has raised $2.25 million (about ₹15 crore) from GAIN Credit, Inc. OYE! Loans currently serves new-to-credit and new-to-workforce consumers with simple, timely and affordable One Year EMI loans (hence the brand OYE! ), with ticket-sizes ranging between 10K and 1L INR. The company leverages alternative data to assess risk on customers who have thin or non-existent footprints on the credit bureau. The loan application to disbursal process is largely online, enabling for quick turn-around times of less than 2 business days – an attribute that has strengthened its growing reputation as a lender-of-choice within its target markets. Interest rates on bank deposits are at a decade low, and those on small savings schemes are close to a 40-year low. This has forced people to look for alternatives, one of which is peer-to-peer, or P2P, lending.